Regardless of whether your desktop computer operating system of choice has that Microsoft feel about it, or slants more towards an Apple inspired offering, it’s probably fairly accurate to assume that there are things that you would like to change about the aesthetics. Mac OS X is currently enjoying its most successful spell to date with Apple reaping the benefits that come attached with the current surge in user adoption. However, Microsoft is also reporting a recent surge in profits that has a lot to do with the success of Windows 8 since launch. 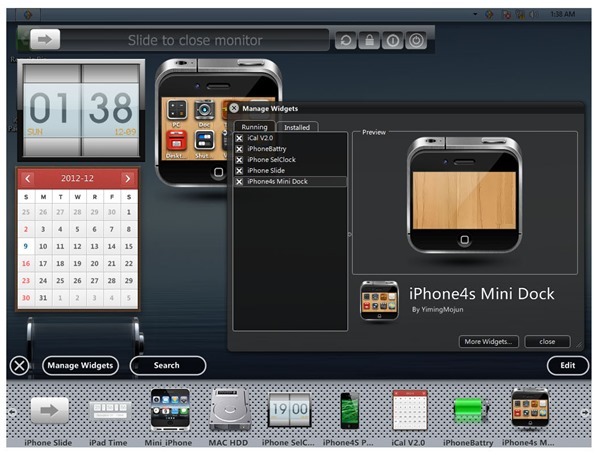 If you are a PC user, then it could be worthwhile checking out the iOS inspired theme that is now available for both Windows 8 and Windows 7 installations. Themes or Skin packs have often caused a great deal of division with PC users. Some individuals prefer to stay loyal to the native look and feel of their operating system and can’t ever imagine deviating from the manufacturer standard. On the other hand, there are some users who love the functionality provided with Windows but crave the visuals of OS X and iOS. It’s those who will gain the most satisfaction from these skin packs/themes. The theme itself is named after Apple’s famous mobile operating system but it’s immediately evident that inspiration has also been taken from the fruit company’s desktop software. 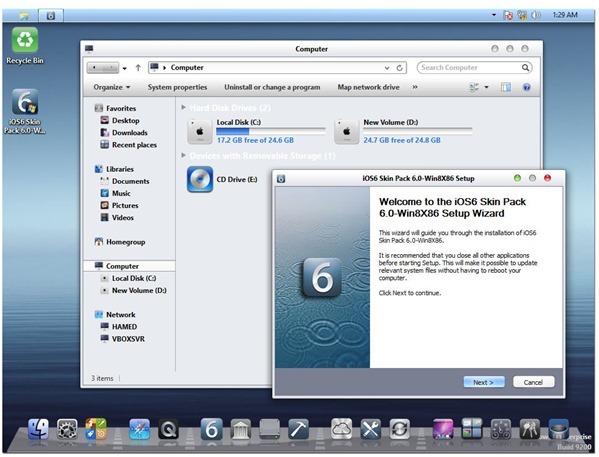 Downloading and installing the iOS 6 inspired visuals on Windows is fairly straightforward and involves little more than running through a standard installation process that most Windows based users will go through on a regular basis. It is however worth noting that uninstalling themes or skin packs of this nature can sometimes prove to be a little problematic, and if anything goes wrong, can require a full operating system restore. Make sure you create a restore point in System Restore utility before going ahead with the install. Once the theme is installed, users will find themselves with a severe visual change from what they have been previously used to on the machine. The famous OS X Dock makes a rather front and center appearance, with battery, calendar, menu and other visuals all immediately looking like iOS 6 / OS X. 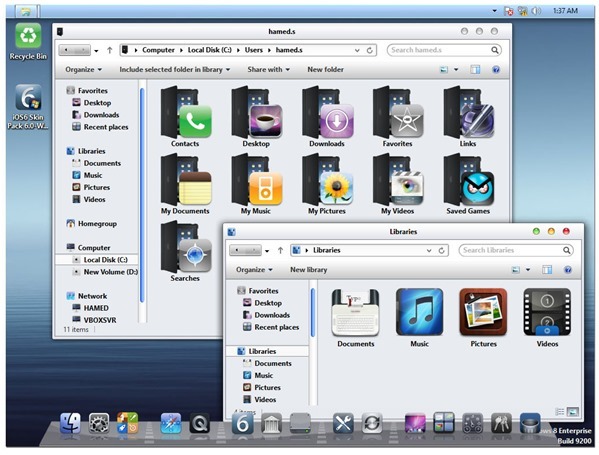 Subtle changes like the inclusion of application type icons and themed directory folders makes this a worthy installation, provided that you are into such customization. Check it out for yourself by downloading it from here.